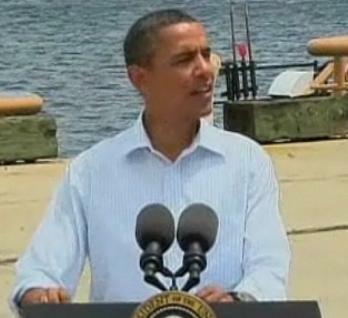 Gulf Coast beaches are clean, safe and open for business, according to President Obama Saturday, as he and his family take a “working vacation” on Florida’s Panhandle. From Panama City to Biloxi, the Gulf Coast towns, which depend on tourism revenues, are more like ghost towns as the spill has many Americans making other vacation plans. Before the spill, a hot summer weekend would attract thousands of vacationers to Panama City’s white sandy beaches and crystal blue Gulf waters. Even before tar balls began coming ashore, there was a sharp decline in tourism revenues there. As the spill grew, the number of tourists tanked. 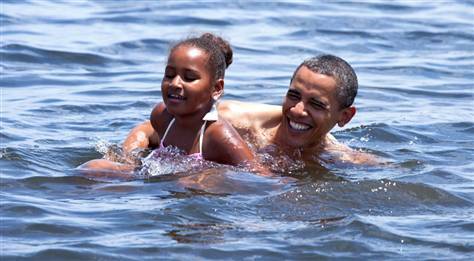 confident message that Gulf waters are safe and open for business; he and daughter, Sasha, took a swim in the Gulf. 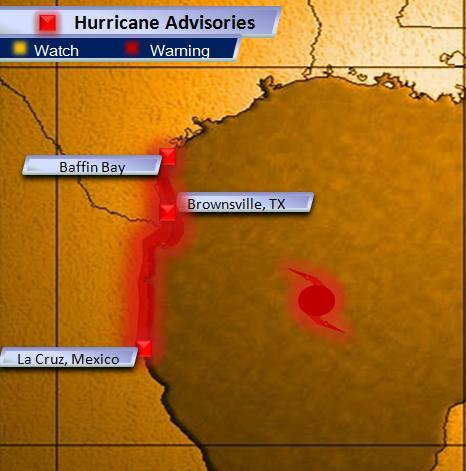 The latest advisory from the National Hurricane Center [Sunday, June 27, 2010 – 10 PM CDT] shows Alex has gained strength over the warm Gulf waters and is once again classified as a tropical storm. Tropical systems gain their strength from warm water and weaken as they move over land. 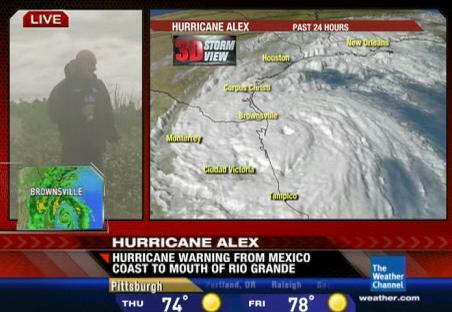 Alex made landfall Saturday afternoon in Belize, and is currently moving into the warm waters of the Gulf of Mexico. 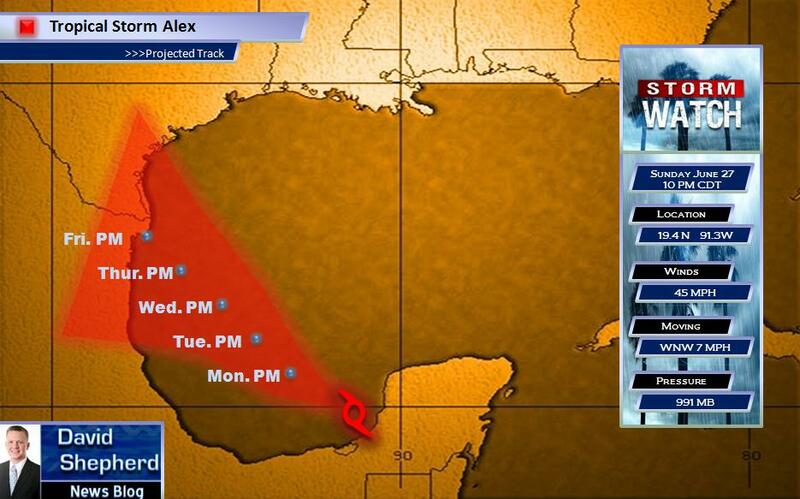 Forecasters believe Alex will be able to gain enough strength to reach hurricane status before making landfall in northeastern Mexico or the southern coastal areas of Texas later this week. No one is quite certain how Alex will affect coastal states as millions of gallons of oil continue to pour into the Gulf of Mexico. 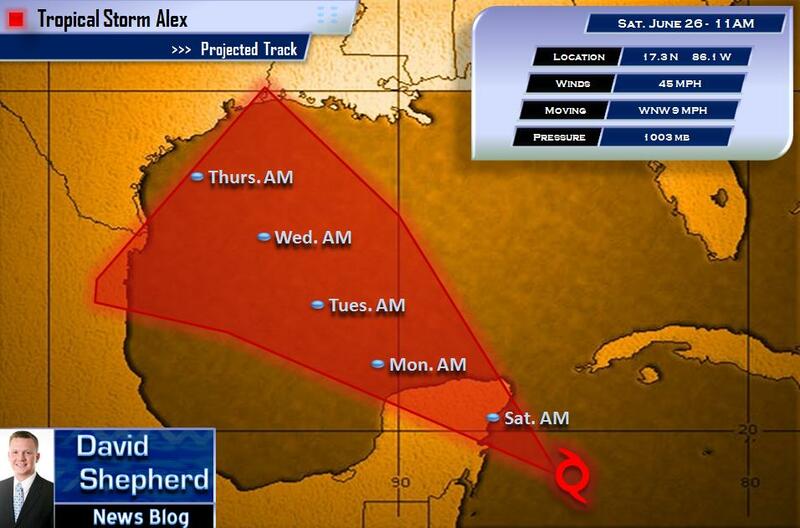 Last week, forecasters feared Alex’s track could push it west of the BP oil spill but close enough that it could cause major problems for the clean-up effort in the Gulf. 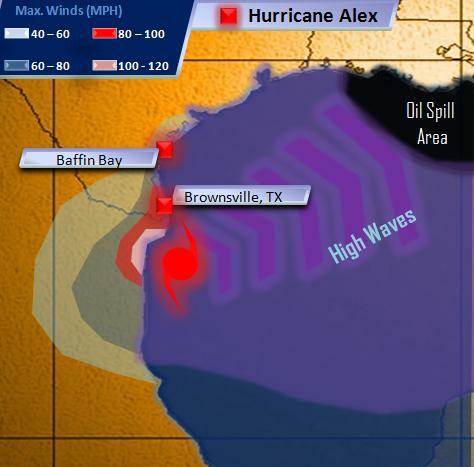 Now, with the projected track further to the west, experts say the chances Alex would cause serious problems for the Gulf coast’s already desperate oil woes are low. With that said, tropical systems are very unpredictable and can change course at any time to people along the Gulf coast should still monitor the latest developments as Alex approaches. 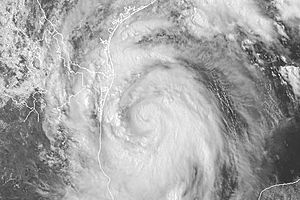 Tropical systems rotate counter-clockwise around the center of circulation, or eye. With the storm projected to move to the west of the BP oil spill, that counter-clockwise flow could push the oil north closer to the coastal states. 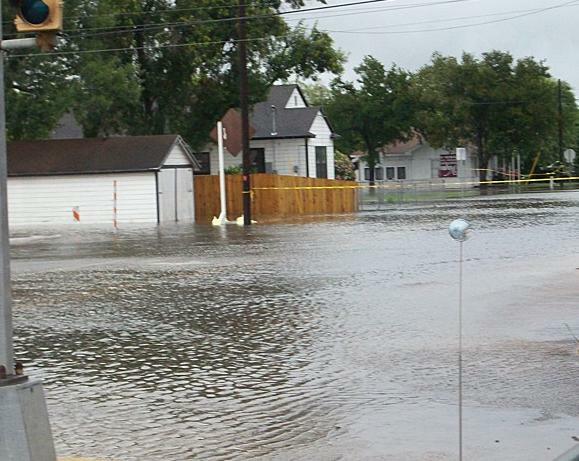 Another factor to consider is the storm surge, which pushes Gulf water inland, often flooding coastal areas. With oil mixed in with that Gulf water, it could leave behind a thick coat of oil on the beaches, streets, neighborhoods and flooded basements. 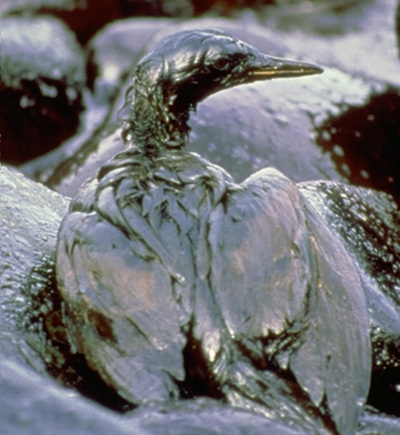 It’s unclear what kind of clean-up effort this would require on land but many fear it could be even more devastating for the coastal areas, where the oil spill is already hurting local tourism and economies, businesses and residents. I’ll continue to follow the latest with this developing storm and examine what could happen as Tropical Storm Alex churns toward the Gulf. 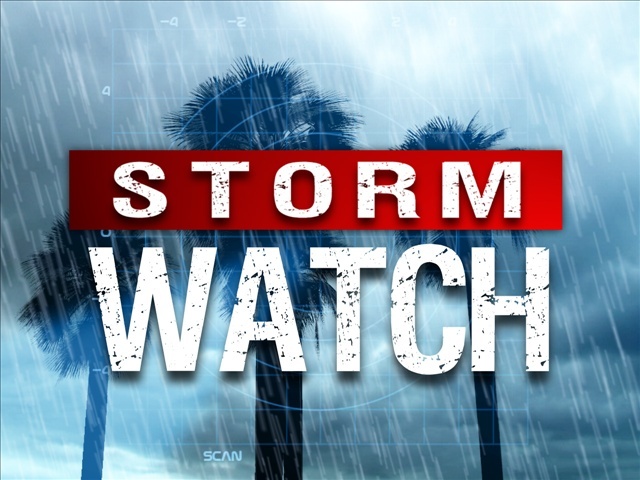 The first tropical storm of the 2010 Atlantic hurricane season has developed in the western Caribbean near Mexico’s Yucatan Peninsula. 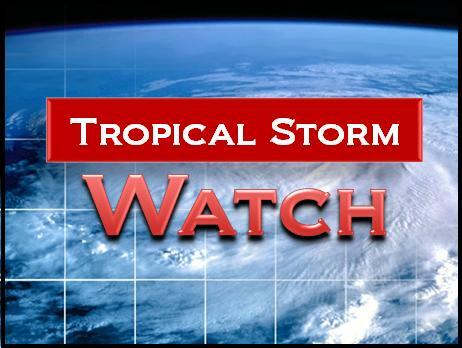 As the tropical storm moves over the warm waters of the Caribbean, it is expected to strengthen. 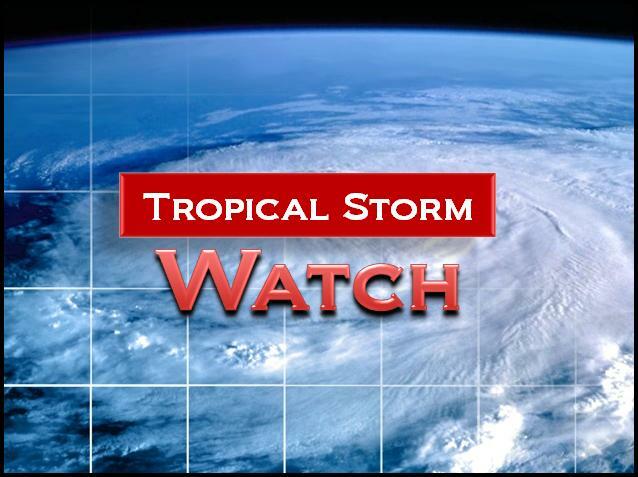 A Tropical Storm Warning has been issued for the coast of Belize and the east coast of Mexico’s Yucatan peninsula from Chetumal to Cancun and the islands of Roatan, Guanaja and Utila in Honduras. 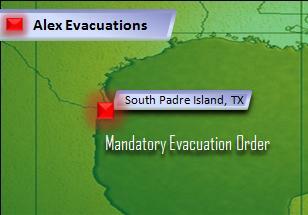 From there it is expected to move into the western Gulf of Mexico. Tropical systems are very unpredictable and tracks can shift at any time. 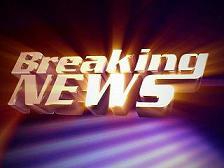 If the storm continues on its current track, it could pose major problems for the oil spill cleanup effort.